The Hurricane P2 4Hire with its wrap around tubular frame and folding handle is big on power and strength. 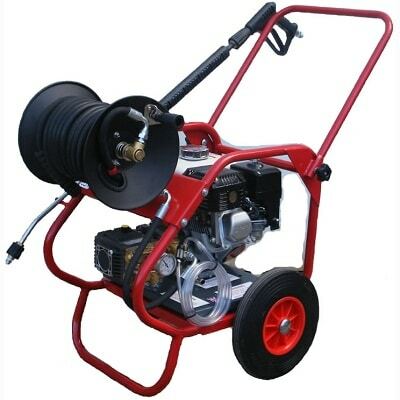 The well proven Honda engine is fitted with oil alert to survive the harshest conditions with the added benefit of an integral hose reel with 15 metres of hose. The Hurricane P2 4Hire cold water petrol powered pressure washer has been well proven over a number of years as a small yet powerful pressure washer which, is compact and light enough to be easily transported, but is big enough to get the job done.